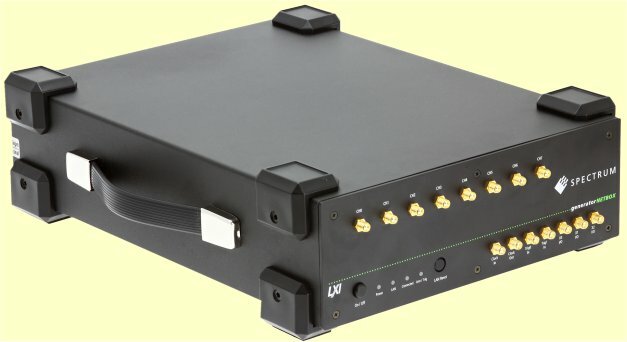 UK suppliers of PC based high speed signal capture and waveform generator cards for the PC and industrial rack, plus a wide range of rugged portable PC's. Four GBytes of memory as standard on the M4i board series! 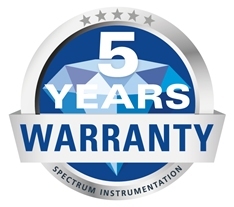 Buy with confidence knowing that the Spectrum Instrumentation hardware we sell now comes with a manufacturer's warranty of 5 years, in addition to the free pre and post sale technical support we already provide. 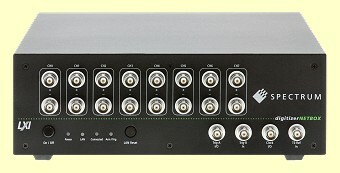 Choose from a wide range of signal capture and signal generation systems with multiple connectivity options for local or remote connection to a host computer. Should your application be for research, development or product test, we are here to meet your requirements. 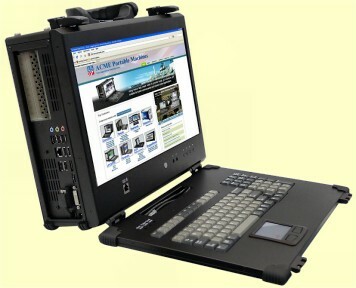 Require PC and instrumentation portability? Software support is well developed and extensive for all Spectrum instrumentation, for both Windows® and Linux®. 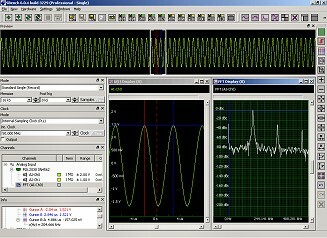 SBench® visualisation and analysis software is provided free of charge with all Spectrum instrumentation hardware! Pull-down menu driven, it requires no code programming to quickly access its powerful features. 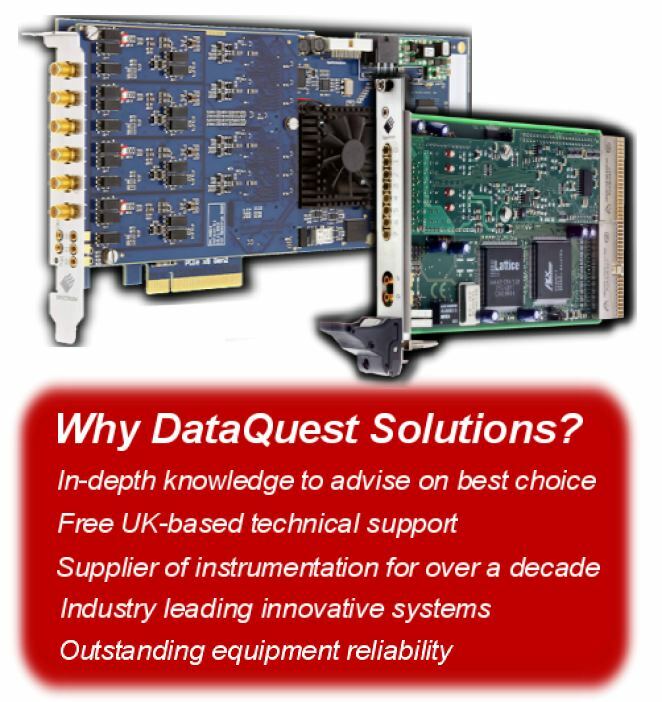 Please browse our website for more information on our extensive range of computer instrumentation! Microsoft, Windows, XP, Vista, 7, 8, 10, Visual Basic, Visual C/C++, are either registered trademarks or trademarks of Microsoft Corporation in the United States and/or other countries. The registered trademark Linux® is used pursuant to a sublicense from LMI, the exclusive licensee of Linus Torvalds, holder of the mark on a world-wide basis. Delphi is a trademark of Embarcadero Technologies, Inc.
© Dataquest Solutions 09.07.03. (Last revised 25.03.19).